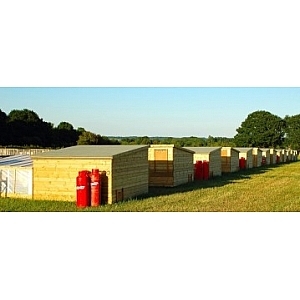 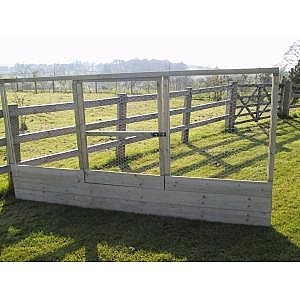 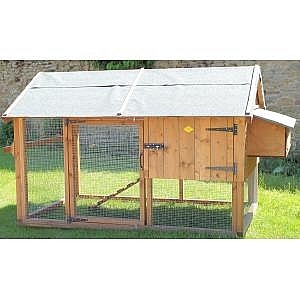 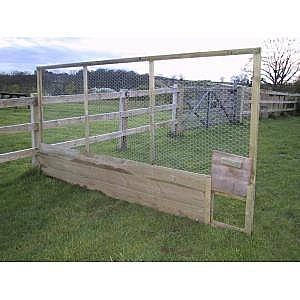 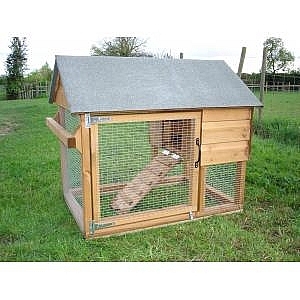 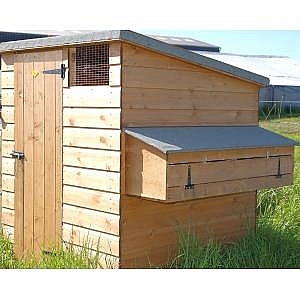 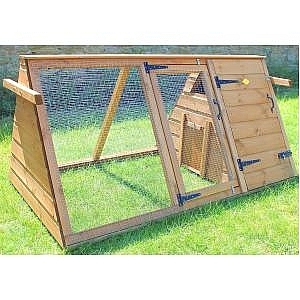 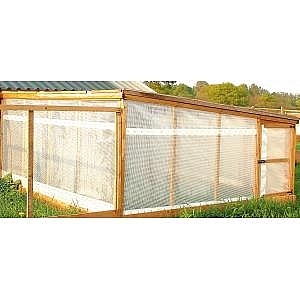 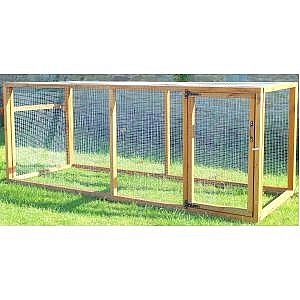 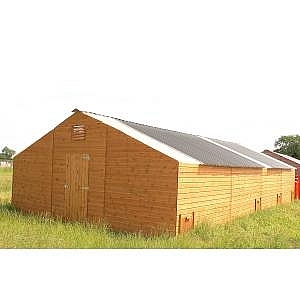 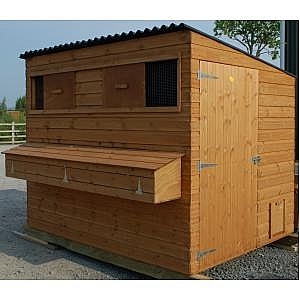 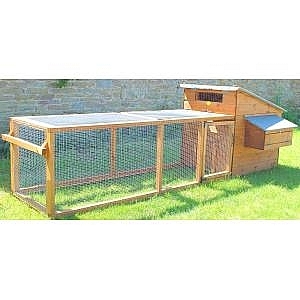 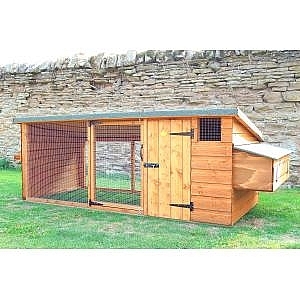 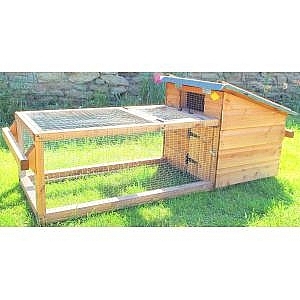 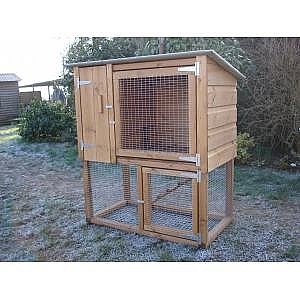 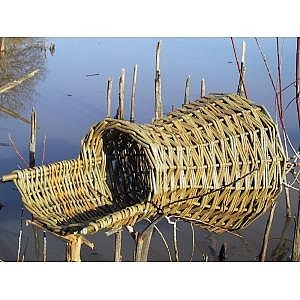 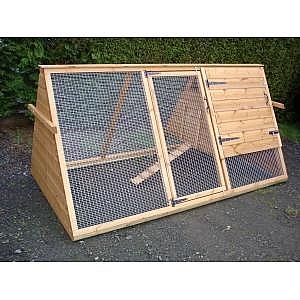 ideal for broody hen and chicks, rabbits and guinea pigs. 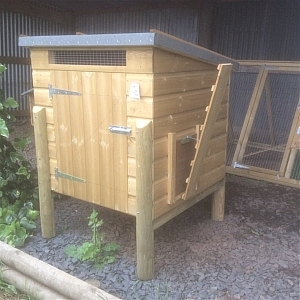 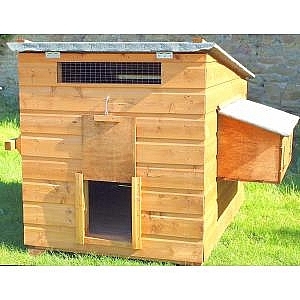 Combined house and run with hinged roof and back panel for eay cleaning, side nest box. 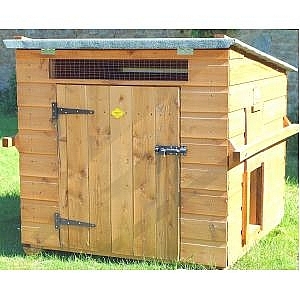 Full size door, raised floor on skids, 8 nest boxes, 2 sliding shutter windows and pophole.